Making the first move on a date, going to the cinema alone – and swiping right on Tinder have been named among the modern signs of bravery. Other signs of bravery include being the one to speak up in a meeting, not putting a filter on a selfie and letting people go through the pictures in your phone. We created a quiz for Highland Spring for their modern day brave campaign, the quiz was hosted on a microsite which we also created. 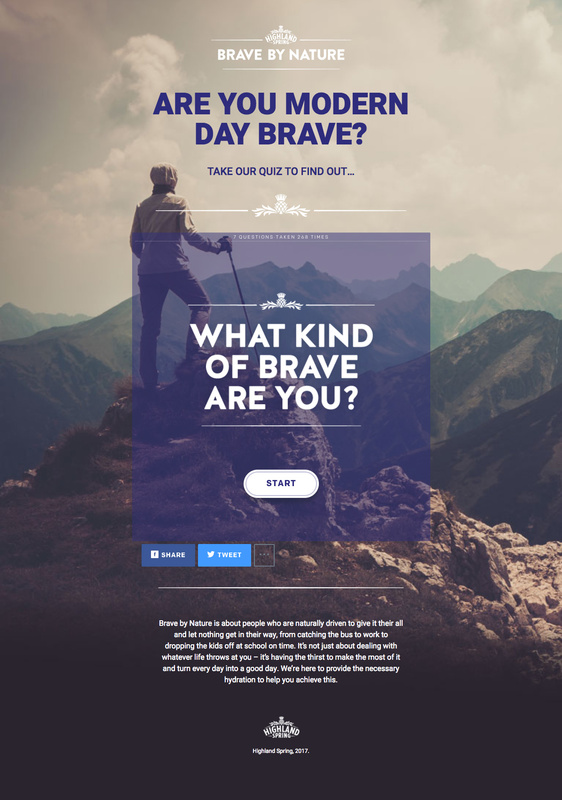 Take the quiz and find out if you are modern day brave!